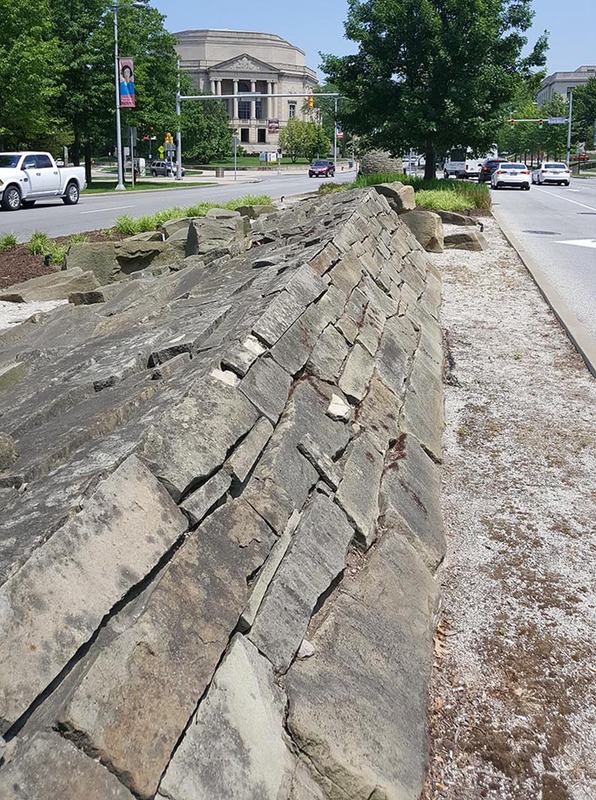 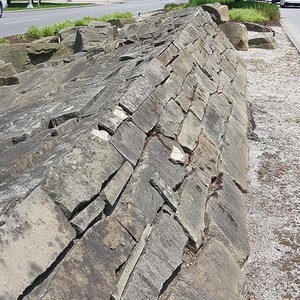 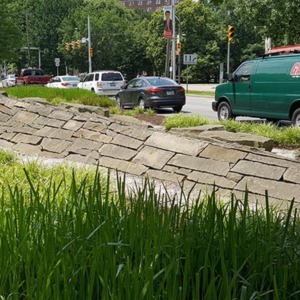 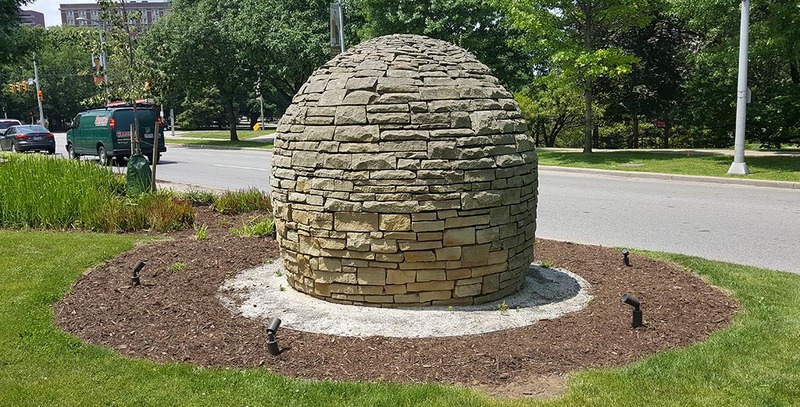 A series of stone sculptures on the median strip of Euclid Ave. that were installed as part of the transportation improvement project, the Euclid Corridor. 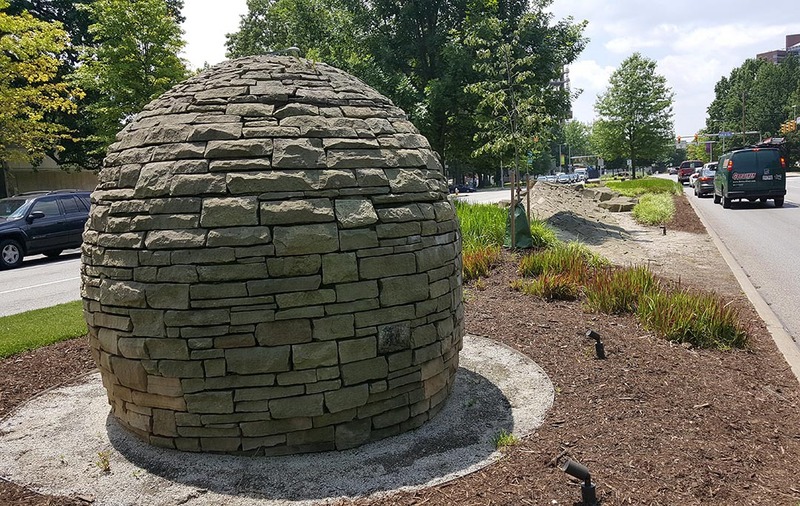 The spheres represent the spheres of influence possessed by each of the cultural institutions in University Circle. 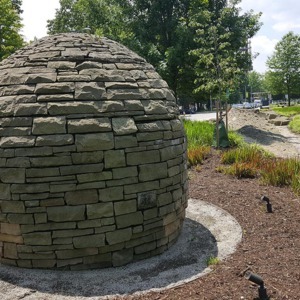 Each sphere is tied together by large stone rifts, which represents how each institution absorbs ideas and character just from their proximity to one another. 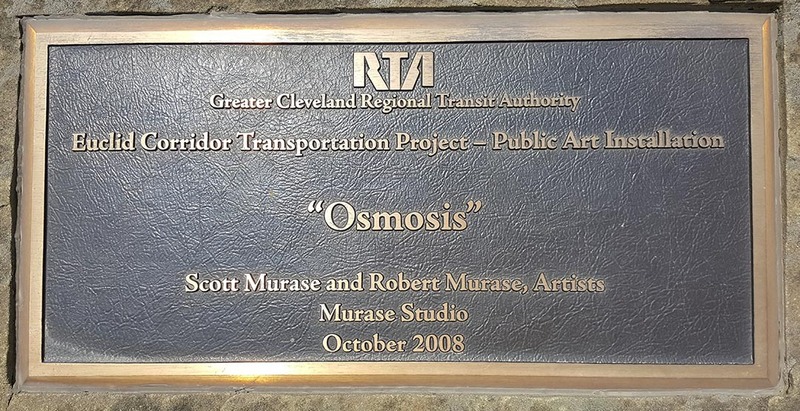 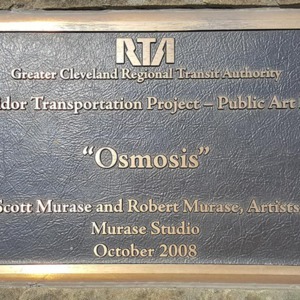 : Scott Murase, “Osmosis,” Ohio Outdoor Sculpture Inventory, accessed April 20, 2019, http://oosi.sculpturecenter.org/items/show/1302.